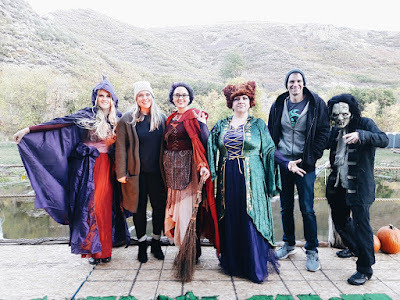 Over the weekend Erik and I attended an event to see Hocus Pocus in the woods. The date was changed due to weather conditions making it harder for us to attend. Because of the date change there were less vendors and activities. And when it came to watch the movie they couldn't get it to work! All in all not the night we expected. But I also know it was not the night the organizers expected either. Erik and I have pretty go with the flow personalities. We have been through enough in our lives to know that things happen. I was so surprised by the reactions of other people. They chewed out teenage workers. Grown adults had full on tantrums. I understand it was there right to do so. They paid money to be there. I don't understand why people get so worked up over small things. Even though the event did not go as expected Erik and I understood that this was no ones fault. That things are out of our control and that yelling at someone was not going to make it better. We were still able to get a good experience out of it. Took pictures with the amazing scenery. Enjoyed a campfire under a blanket of stars. And we got to meet new people and make memories with them. There were a lot of worse places to be that night. I know that life can be tough. I know that things don't always go as planned. But I also know that doesn't mean the new path has to be bad. 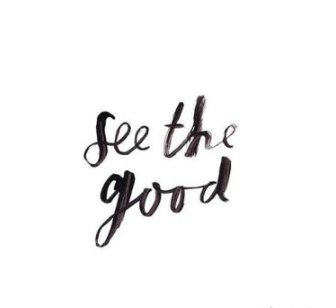 The next time you are in a situation that doesn't turn out the way you had planned I encourage to look for the good. Take a deep breathe, step back and gain some perspective. Chances are there are far worse places to be.